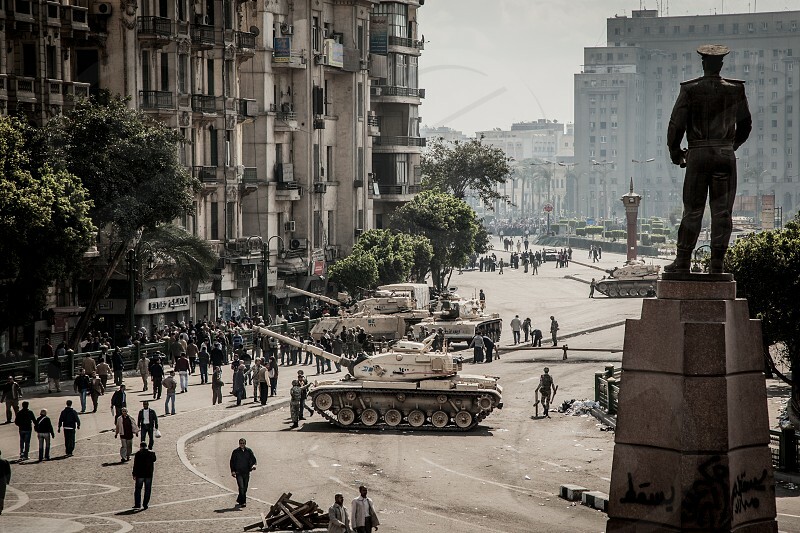 This is a photo taken from the corner of Tahrir Square on the 30th of January, 2011 when the first wave of the revolution had defeated the police force, causing them to retreat, and forcing the military to step in. As seen in the photo, tanks were placed at the entrances to the square. In the foreground, there is a statue of one of the military generals known for his participation in the 6th of October war.